Kids Yoga : Make Your Kid Live Life The Healthy Way! Yoga is a popular form of exercise practiced worldwide today. In today’s stressful life, yoga has become a mandatory exercise regime that has to be implemented in order to lead a healthy lifestyle. As adults, we find yoga a very easy regime to implement. Have you ever considered kids yoga for your children?? Yes, yoga is as important for children as it is for adults. Today, our children live in the same busy and stressful life as their parents. 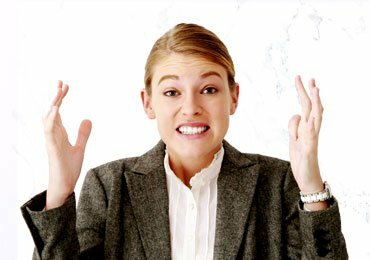 Be it academics, sports, or peer pressure, our kids are equally stressed. Kids yoga can help counteract these pressures faced by children. Kids can derive a lot of benefits from yoga. Yoga helps kids attain relaxation, peace of mind and inner satisfaction. It also enhances body flexibility, coordination and strength. Like adults, there are separate poses for children that are easy to implement and follow. 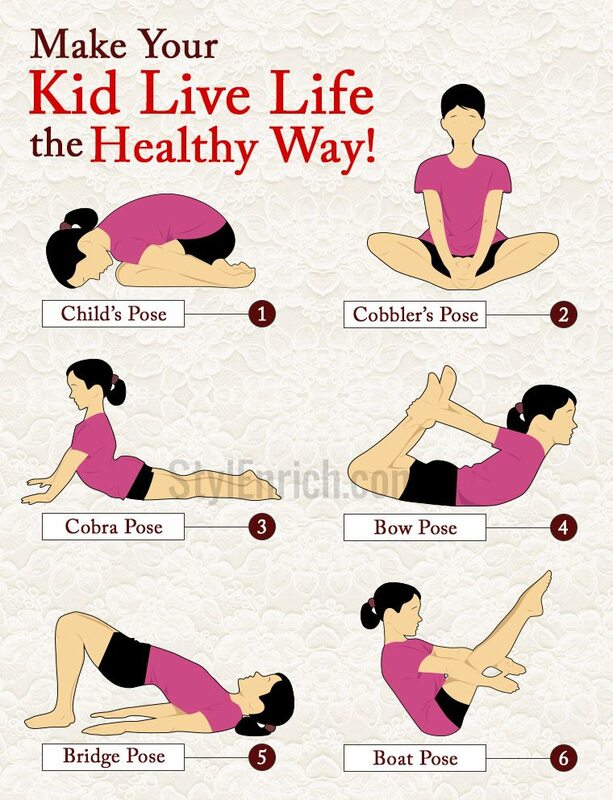 Following are some of the best yoga poses for children. Also called as Navasana, Boat pose is one of the easiest kids yoga pose that can be implemented without any difficulty. It is fun and kids enjoy performing this form of exercise. Sit straight with your legs bent. Now lean back and bring your arms parallel in front of you. Lift your legs at 45 degree angle by balancing on the buttocks. Then perform the action of rocking in the water like a boat. Bow pose is also called as Dhanurasana. This pose is like an animal pose and one of the best yoga poses for children as it improves the flexibility of your kid’s body. 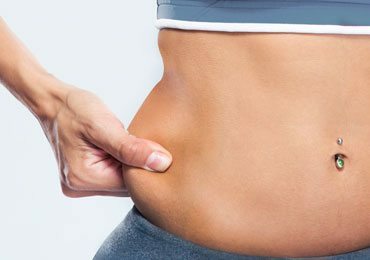 Lie flat on your stomach and keep your arms at the side with your palms facing upwards. Now slowly flex your feet and bend your knees. At this position inhale deeply and lift up your chest. Now stretch your arms towards your feet and hold your ankles. 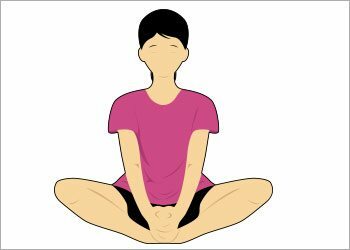 Hold in this position for around 30-40 seconds. Repeat again. Bridge pose is one of the most popular poses in kids yoga. The other name for this pose is called Setu Bandha Sarvangasana. 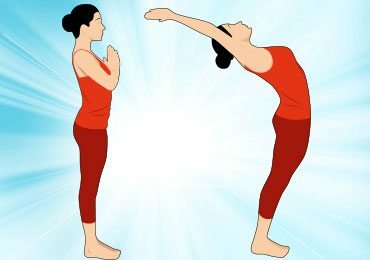 This pose is one of the best poses as it is known to calm the mind, and reduce stress in your kid’s body. Lie down on your back and keep your knees bent with the feet flat on the ground. Keep your knees apart and rest your arms at the side with palms facing down. Now slowly lift your buttocks and flat back to create a bridge like pose. Inhale deeply and tuck your chin into the chest. Hold for 10-20 seconds and repeat again. As the name suggests, this is the best pose in yoga for children. It is easy to teach your kid this pose and also easy implement this in his/her daily schedule. Come on your fours, with arms stretched out and palms flat on the ground. Keep your forehead on rest on the ground and lay your chest on your thighs. Now bring your arms along the sides of your body. 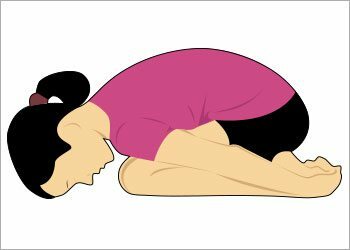 Stay in this position for 10 seconds and inhale deeply. Staying in this position helps strengthen and improve the flexibility in your lower back. Also known as the Bhujangasana, this pose is the best form of kids yoga. Cobra pose is known to improve the body’s strength and rejuvenates the mood. Like a snake, lie down on your stomach with the legs straight behind you. Keep your palms flat next to the shoulders and bring them together down the back. Inhale deeply and gently lift your chest, shoulders and head off the ground with the help of your palms. Straighten your arms and keep your neck straight. Inhale deeply and then exhale. Then slowly bring your head, shoulders and chest back to resting position. Cobblers pose is also called the butterfly pose or Baddha Konasana. It is one of the ideal poses considered in yoga for children. Children enjoy performing this pose as it is easy to implement. Sit in an L-shape with back straight and legs in front. Slowly bend your knees and bring the soles together. Now wrap your hands around the ankles and slowly drop the knees towards the ground. 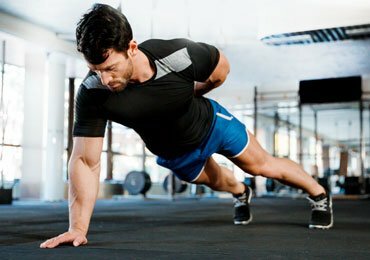 This helps in opening up the groin and hips. While performing this pose, inhale deeply and exhale. This calms the mind and reduces stress. Perform this exercise as far as you feel comfortable and repeat again. Helps develop awareness of body and mind. Through breathing and body postures, yoga helps reduce and manage stress and anxiety in children. Boosts energy and stamina in children. Strengthens and improves flexibility in the body. Kids Yoga can be begun from the age of 5 and carried on till adulthood. The above mentioned poses help build a positive self-image and impact in children. Teach yoga to your kids and help them lead life the healthy way! Breathing Techniques : Benefits of Deep Breathing And How to Do It! Best Natural Laxatives that Make Your Morning Happy! 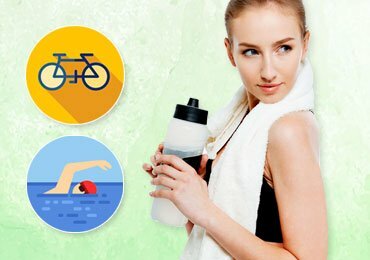 How to Burn 2000 Calories a Day? 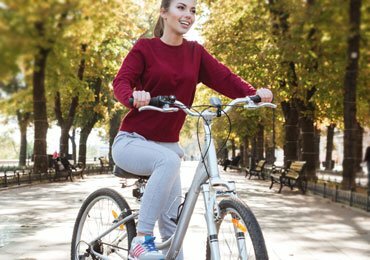 Top 10 Health Benefits of Cycling Regularly! 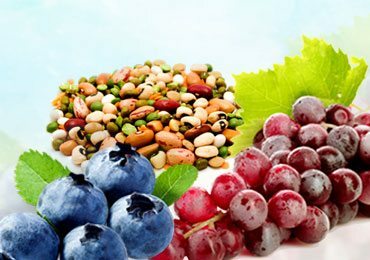 Top 10 Best Sources of Antioxidants You Need to Check Out! Benefits of Surya Namaskar Yoga For Weight Loss! 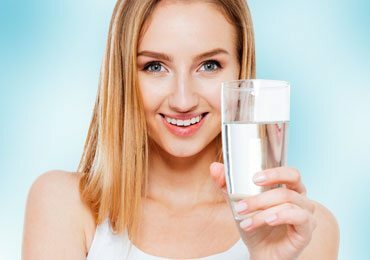 How to Make Flavored Water? 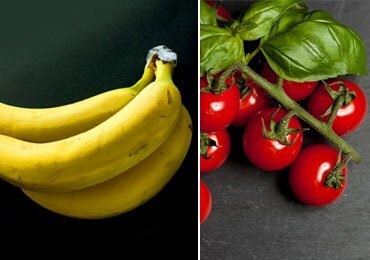 10 Healthy and Interesting Things to Add!